As I mentioned previously, we split up the duties this year for our Thanksgiving feast. Naturally, my Dad picked the meat before anyone else had a chance to think twice. 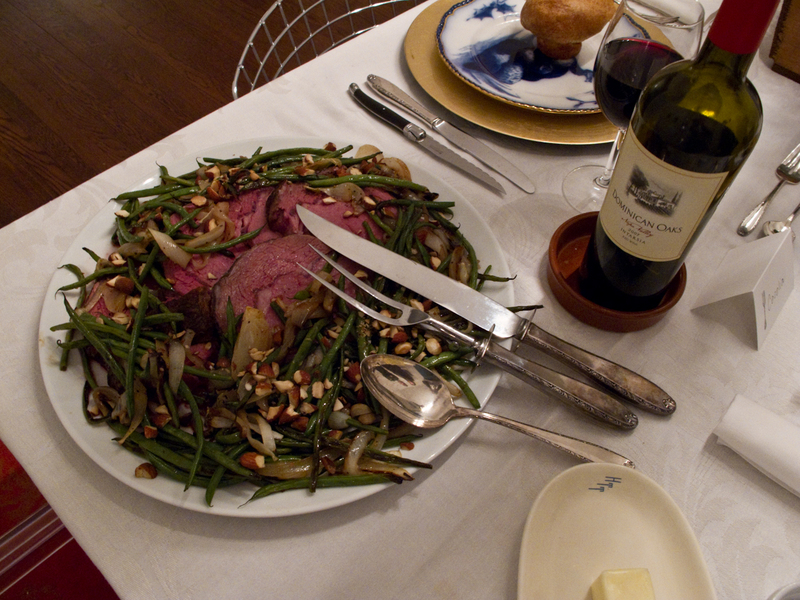 He jumped at the chance to dry age a standing rib roast and have prime rib instead of turkey. No one complained. The “recipe” is really just instructions. It takes a great deal of patience but it is totally worth it. And think about this, lots of rare roast beef sandwiches are better than endless turkey sandwiches any day. We ate the rest of the meat throughout the weekend and shared with friends that stopped by for a snack. My dad bought a 10 pound rib roast a week before Thanksgiving and ‘dry aged’ it for one week in the fridge, uncovered. This process will remove 10% of the weight from the meat. Thanksgiving morning we brought it out of the fridge and allowed it to come to room temperature (about 3 hours). We added a generous about of salt and pepper and seared each side on the stove top to brown. Then roasted in the oven at 200 degrees until 133 – about four hours. It is important to use a good quality electric thermometer to monitor the temperature. 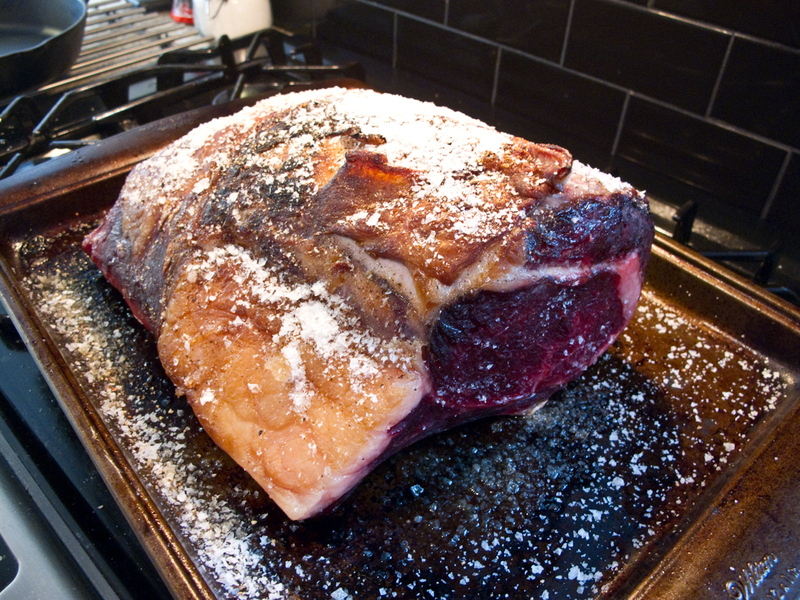 Once it reaches 133 – remove it from the oven and allow to sit for an hour before carving.